What factors should you consider when selecting an MBA program? While course content and school prestige are important, access to industry is critical when choosing a program best-suited to your needs. Akhil Goyal had a clear idea of how an MBA would fit into his career ambitions. He wanted to advance his consulting career, so he extensively researched different programs that would cater to his goals. In the end, Akhil made the decision to move from India to France, and pursue an MBA at EDHEC Business School. As part of the program, Akhil undertook a consulting project for Amadeus—a leading global IT provider for the travel and tourism industry. Amadeus is a huge company with over 14,000 employees around the world, and Akhil says EDHEC's MBA consultants are well-integrated within the firm. His role was to engage with new technologies, such as artificial intelligence chatbots, and assess how these can be utilized to enhance customer experience. The aim: to launch a fully-interactive, intelligent app for the business travel market. EDHEC—which provides support throughout the project placement—is known for its proactive corporate relations team and personalized career services. Amadeus is among the top recruiters of EDHEC MBA students, alongside big-name firms like Amazon, Microsoft, and P&G. 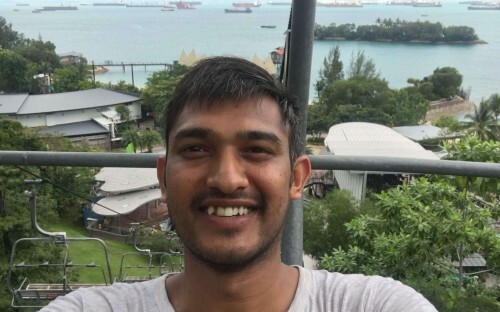 BusinessBecause caught up with Akhil to find out more. How have you profited from the consulting project at Amadeus so far? The main thing I've learned is that in real life, it doesn't really matter how great your ideas are unless you know how to communicate them effectively. The project has really improved my presentation skills, and my understanding of how to convey ideas in the right way. The project has also taught me how to work in highly diverse, versatile teams. Our group had people from Lebanon, Zimbabwe, Japan, and many more countries. That was good training in how to navigate different work cultures. And, of course, I've learned a lot about the uses of new technology in the global travel industry. I didn't want to specialize or restrict myself to one particular subject area. As a consultant, you need to have a holistic, big-picture view, and the MBA offered that. Also, I come from a background in computer science, and so I needed foundational knowledge in subjects like finance. Exposure to these different subjects has already broadened my perspective and improved my ability to formulate and execute strategies. I did my GMAT in 2016, a year and a half before I applied to schools. During that time, I did a lot of research on different programs. I knew I wanted experience in consulting and a one year program, because I didn't want to be out of the job market for longer than that. A decisive factor was return on investment. As a business executive, entrepreneur, or consultant, return on investment is really a basic pillar of decision making, and that's what helped me choose EDHEC in the end. I also liked the course content at EDHEC, I was aware that the faculty is excellent, and that the school has a brilliant career service. What advice do you have for MBA applicants? Most people think their work is done when they get into a good school, but getting selected is just the beginning. You still have the whole race left to run, and getting in doesn't mean that success should be taken for granted. It's also important to know where the MBA fits into your career plan, and have a clear idea of what you want to do with the degree after graduating.